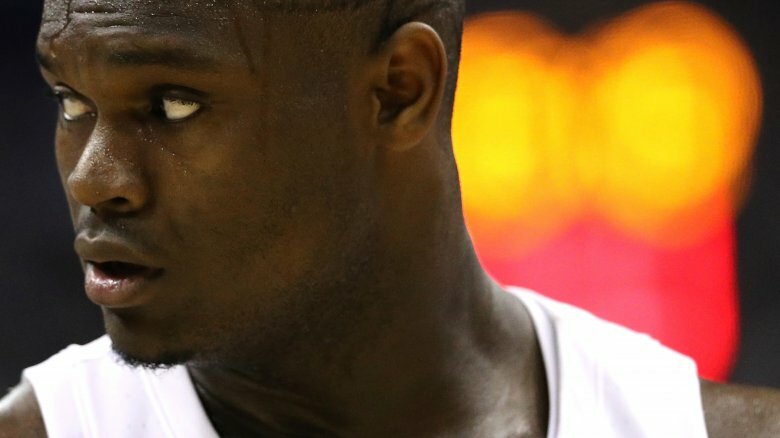 Zion Williamson has been called "the future of basketball," "a once in a generation type athlete," and "a confusing ball of awesome." As an 18-year-old, 6-foot-7, 285-pound guy, he's also been rather unflatteringly referred to as a "man-child." And yet despite his size, the kid is still unbelievably fast and agile. And he can dunk from the free-throw line, so there's that. These days, you almost can't read the sports headlines without running into a story about Williamson's stats, injuries, "freakishly athletic plays," and his certain future as an NBA star. Whether you agree with the hype or not, Williamson is almost certainly going to be a history-making player. 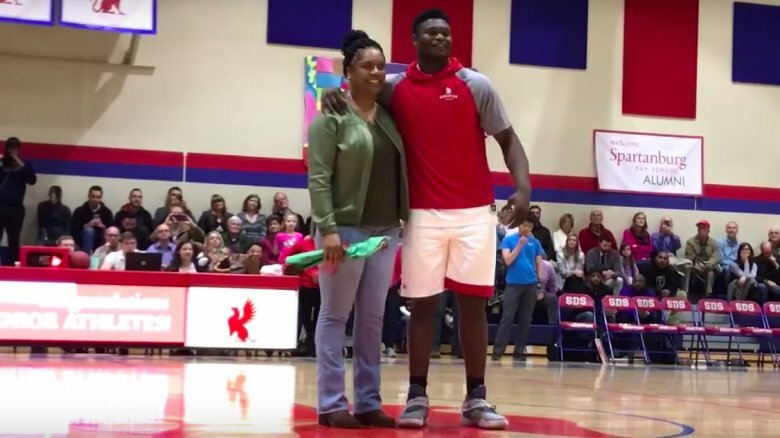 So where did Zion Williamson come from, how did he evolve into such an impressive athlete, and was he always so ginormous? 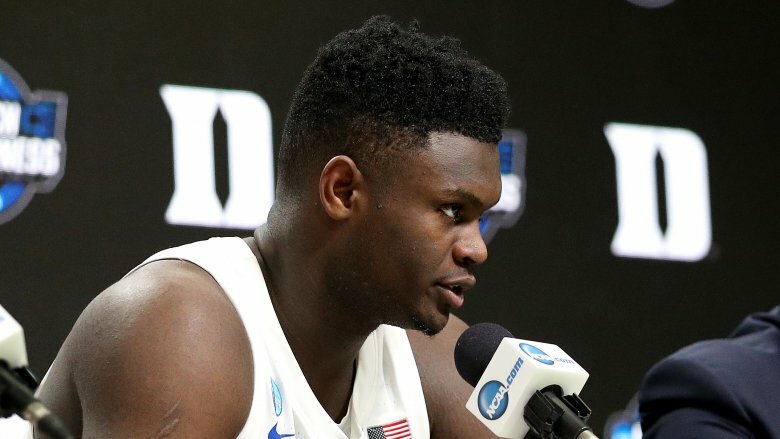 You've read all the headlines about Zion Williamson, now here's everything you haven't heard about Duke's soon-to-be-drafted star player. Most 5-year-old kids know they're going to be firefighters or ninjas, and they'll usually outgrow those lofty ideas. When Zion Williamson was 5, he knew he was going to be a basketball star, and he never really showed any sign that he might change his mind. According to USA Today, Williamson was making plans to be a star when most kids are still trying to figure out how to draw a star. While still a kindergartener, he told his stepdad he was going to play college basketball and become the number one player in the country. Credit to Williamson's stepdad, who took his stepson's ambitions seriously and signed him up for the Sumter Falcons AAU team — where he was the only 5-year-old on a team that otherwise consisted entirely of 9-year-olds. By the age of 9, Williamson was getting up at 5 a.m. every day to run drills and practice shots. With that kind of drive, it's really not surprising that he was able to get so close to his goal at so young an age. Most adults won't even get up that early for scrambled eggs and bacon. Zion Williamson isn't the first person in his family to become an athlete. According to USA Today, his biological father, Lateef Williamson — who is 6-foot-5 — played college football, first for North Carolina State and then for Livingstone College. His mom, Sharonda Sampson, is 5-foot-10 and was a college track star at Livingstone College. She told USA Today that she could jump 6 feet in the high jump, so probably that's where Williamson gets it. Williamson's stepdad, Lee Anderson, was a college athlete, too. He played basketball at Clemson, so Williamson owes much of what he knows about the game to his stepdad's early guidance. Sampson told the Charlotte Observer that despite his dedication as a 5-year-old, she was still surprised by how quickly her son rose to fame. "Sometimes it doesn't dawn on you as parents," she said. "But when you have elderly people come to watch and they don't know who you are, and they're saying 'this boy will be special and we'll see him on TV,' you start to think there may be something to this." She's pretty humble about it now, but Sharonda Sampson has a lot to do with her son's rise to fame. 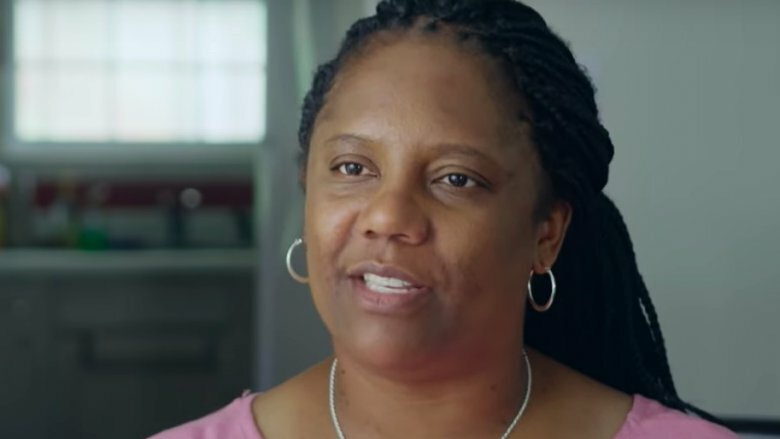 According to the News & Observer, she is a middle-school physical education teacher and was the coach of his middle school basketball team, and a coach of all of his recreation league teams, too. When Williamson played for Johnakin Middle School in Marion, South Carolina, during the seventh and eighth grade, Sampson helped him achieve an average of 20 points per game. Sampson says her son was an unusually level-headed player for a middle schooler. 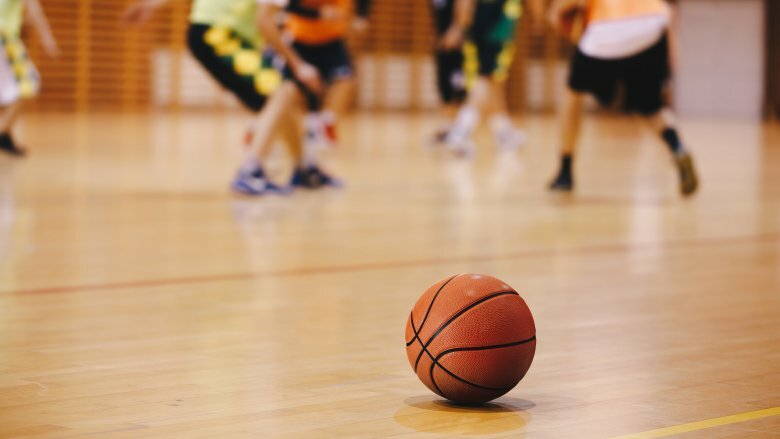 "You know, middle school boys learning how to play basketball, if two boys run at you, chances are you're going to turn the ball over," Sampson told the News & Observer. "Most middle school kids, you see that kind of pressure coming, you start panicking. Not Zion. No, not Zion." Even then he was a phenomenon — with his help, his team lost just three games in two years. Zion Williamson dominates the court, but on the sidelines his brother rules. That's because his baby brother, whose name is Noah, is super-cute, and sometimes Williamson just can't compete. 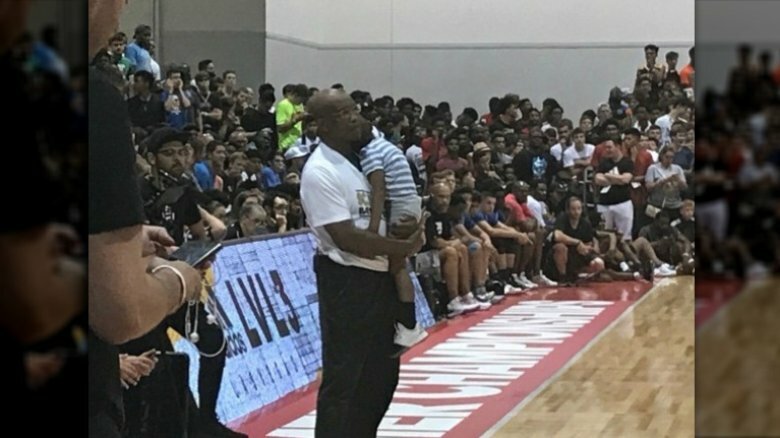 In 2017, USA Today ran a whole story about how Noah, then 3 years old, slept in Williamson's stepdad Lee Anderson's arms while Anderson was coaching an AAU game. "Noah managed to sleep through all the hoopla in the arms of [his dad]," USA Today said. And of course social media went wild because social media loves cute babies, especially sleeping ones. Was Williamson annoyed that his little brother stole his thunder? Noah was born 13 years after Williamson, so there seems to be very little in the way of sibling rivalry. "Williamson dotes on the kid, like a proud papa," said ESPN. "The age gap matters." Williamson had no idea he was going to be huge until his junior year. According to GQ, he didn't really start gaining weight until his last two years of high school, and when that growth spurt finally started it was kind of out of control. As a freshman, he says, he was just 6-foot-3 and 175 pounds. "I was small," he told GQ. "And over the course of about two years, I picked up a hundred pounds." He also grew pretty quickly vertically — between the eighth grade and the age of 16, he gained 10 inches in height. For most of us, gaining 100 pounds is bad news, but Williamson says the extra weight helped his game. "People always say you have to grow into your body," he said. "But for me, it wasn't even growing into my body — the more weight came, it didn't faze me. It made me faster, stronger. It helped me become a more versatile player." Watching Zion Williamson on the court, it's easy to forget that he was a child not that long ago. In fact he still has a few endearing childish qualities, which his mom wasn't afraid to share with a Deadspin reporter. "He's a mama's boy," Sampson said. "And when we get time alone he'll come over and we'll watch the cartoon called Naruto." 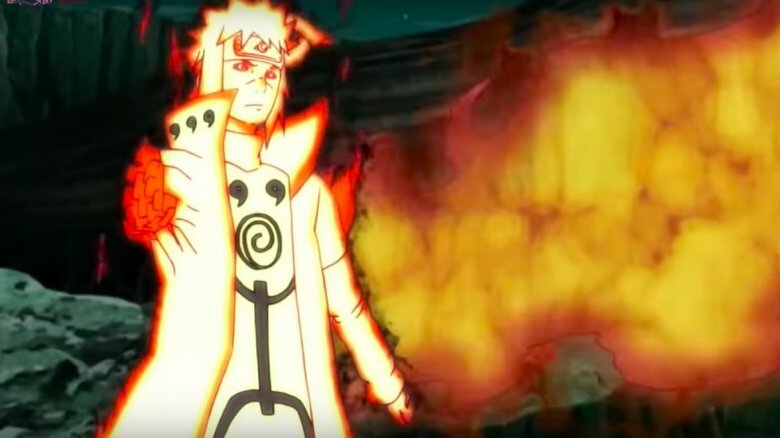 Naruto, for the uninitiated, is a Japanese manga show about an orphan who becomes a badass ninja warrior. So that's adorable. In fact, Williamson has a pretty sweet relationship with his mom — the sort of relationship that all moms hope to one day have with their sons. He told North State Journal that he credits her for much of his success as a player and thought of her first as his team was celebrating their win over Florida State in the ACC Tournament championship game. "The first thing I did before I cut down the nets was try to make eye contact with my mom," he said. "To tell her I loved her. … If it wasn't for my mom, I wouldn't be in this situation." 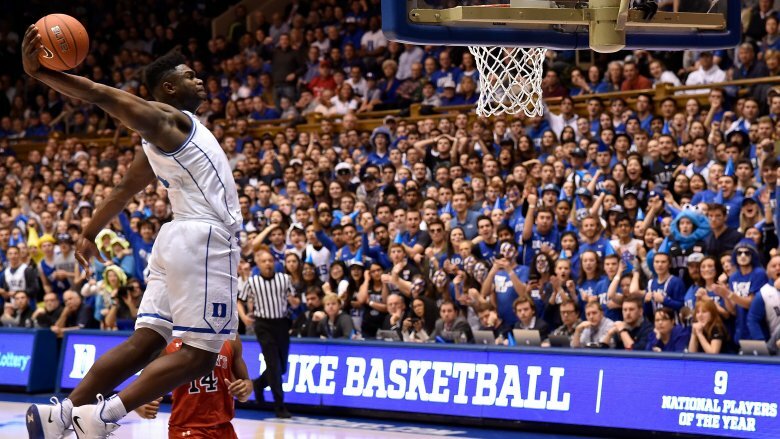 Zion Williamson has a reputation as a dunker. In fact his dunking skills are so impressive that people all over the internet make Zion Williamson dunking compilations, just so other people all over the internet will go, "Daaaang, that kid can dunk!" But Williamson really doesn't like having a reputation as a dunker, to the point where he used to go out of his way to not dunk. Williamson told GQ that he wants to be known for being a great player, not just for being a dunker. "I guess that's human nature, right?" he said. "I could probably score 40 points, get 10 rebounds, 10 assists, but I can have one dunk that was incredible, and those other 38 points don't matter no more." It bothered him so much, in fact, that he started questioning whether he'd still be a valued player if he weren't a great dunker. He's since come to terms with his reputation, though, especially after talking it over with his coach at Duke. "Duke recruits the best basketball players," he said. "They don't recruit dunkers or highlight makers. … I bring to the table more than just dunking." The only thing cooler than being an up-and-coming basketball star is being an up-and-coming basketball star who has a rap star for fan. 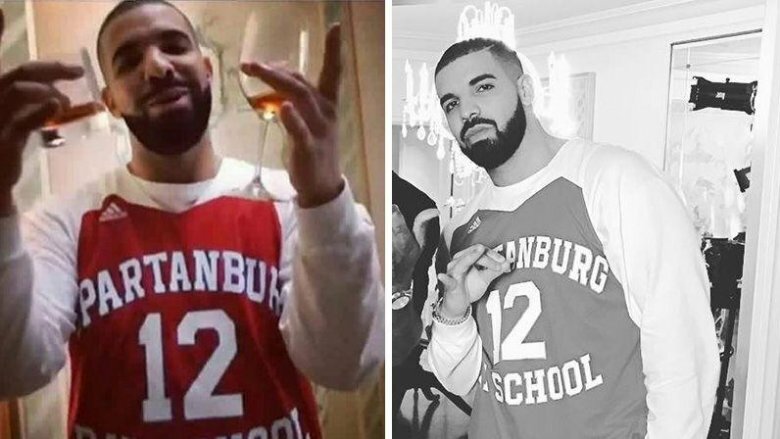 According to Kentucky Sports, back in 2017 the rapper Drake, who'd been quietly following Williamson's high school career, posted a photo of himself wearing Williamson's #12 Spartanburg Day School jersey on Instagram. That must have been a pretty big thrill for the then-16-year-old. "He's my favorite rapper," Williamson told the Post and Courier, "so to have him even know who I am is amazing. It's an honor. When he posted that picture, I thanked him for showing me that much love. He told me to work hard and things will go as planned." The two still send each other the occasional private message. It isn't just rappers showing Williamson the internet love, either. As a high-schooler, he also received messages from NBA players Nate Robinson and Dwight Howard, and NFL stars Odell Beckham Jr. and Dez Bryant. So even then, big names were already taking notice. In 2016, LSU coach Eric Mateos saw Williamson's highlights and decided to offer him a scholarship. A football scholarship. "I thought, hell, why not, he's probably the best tight end to ever live," Mateos told ESPN. It sounds like Williamson didn't show much interest — maybe because he's, you know, a basketball player — but Mateos really didn't expect him to. "Honestly, I just thought it would be really fun and would be good exposure for LSU if we offered him for football. … Coach O said go recruit the best athletes in the country, and that's what I tried to do." It wasn't all for publicity, though — Mateos genuinely thought Williamson had qualities that would make him a great football player. "Any time you have an athlete that can generate that much explosive power in a controlled manner, that's a level of elite that translates to a bunch of different football positions," he said. 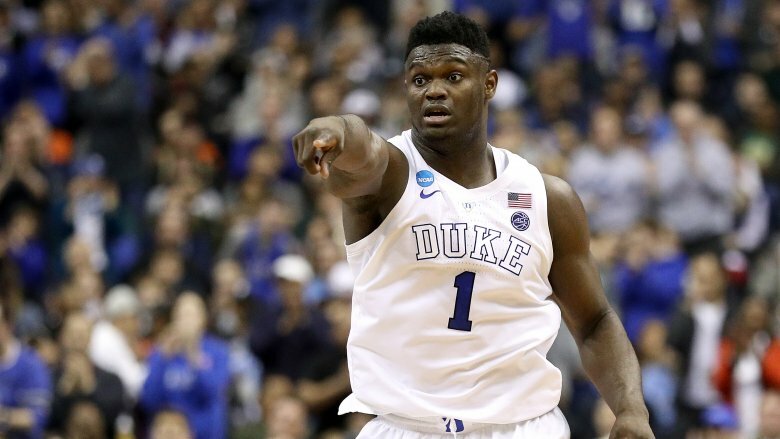 By the summer of 2017, people were already calling Zion Williamson "the next LeBron James." 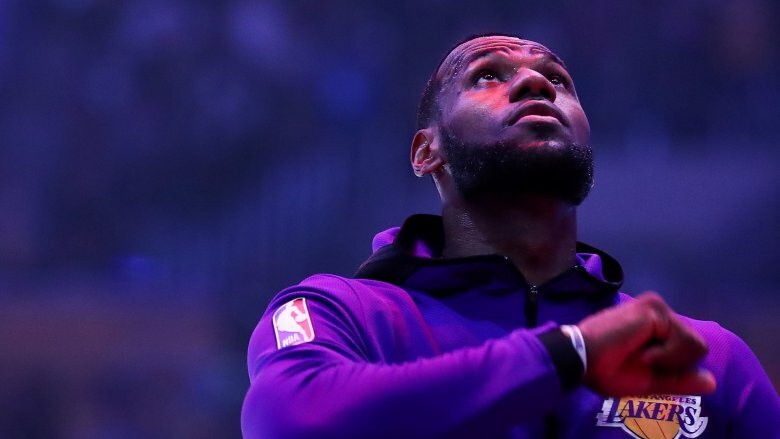 Naturally, that attracted the attention of the actual LeBron James, who showed up at a showcase in Las Vegas to see Williamson play. According to the New York Times, the event itself was highly anticipated because it featured not only Williamson's team but Lakers guard Lonzo Ball's brother LaMelo, who was playing for Big Baller Brand. When James arrived, there were already a few NBA players in the audience and the gym was packed with 4,000 people. It was so crazy, in fact, that James' group was turned away at the door because their presence "constituted a security risk." So James didn't get to see Williamson play that day, and it was another year and a half before he got the opportunity. That day, Williamson, playing for Duke, got 18 points, 5 rebounds, and 5 assists. James praised his performance as "ridiculous." In the upside-down world of college sports, schools aren't allowed to give money or other perks to players or potential players. On the flip side, colleges stand to make a ton of money off their star athletes, so they sometimes bend or break those rules — in fact, if the ongoing college basketball corruption scandal is any indication, they do it pretty regularly. 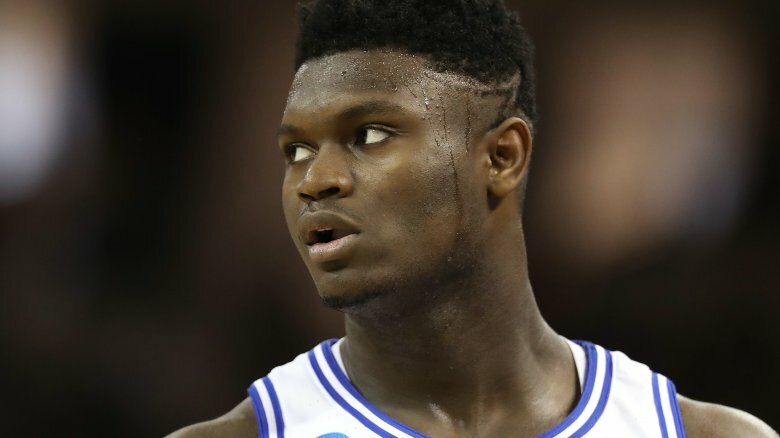 A lot of names have come up since this particular scandal came to the public's attention, and Zion Williamson was one of them. In October 2018, Dan Wetzel from Yahoo Sports reported that Adidas employee Merl Code had discussed Williamson with Kansas assistant coach Kurtis Townsend in a recorded phone call before Williamson decided to sign with Duke. "Between me and you," Code reportedly said, "He's asking for opportunities from an occupational perspective, he's asking for cash in the pocket and he's asking for housing for him and his family." That's not an indictment, though, and who knows if Williamson really did ask for those things or if Code was just trying to make things more interesting. Most people will certainly be happy to give him the benefit of the doubt.